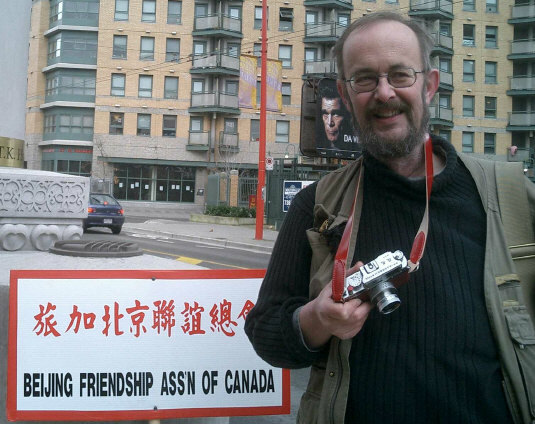 The JG 50 commemorates the 50th Anniversary of the People's Republic of China 1949-1999. Only 500 JG 50 were produced. 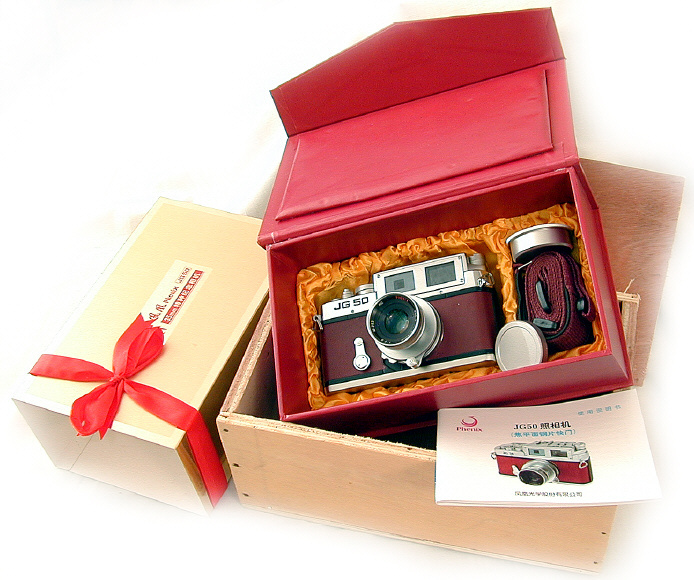 It is a special version of the famous Yasuhara T981-- the camera which started the new rangefinder renaissance in 1999. 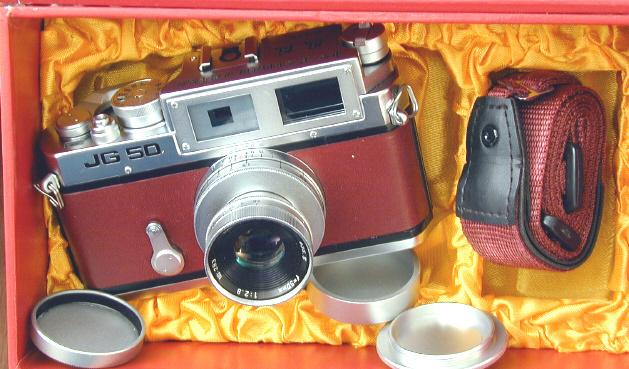 This is one of the rarest Leica copies. 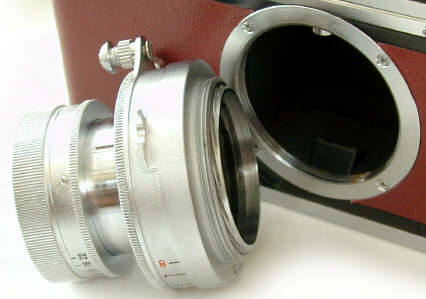 The finder is fairly good, with a 50mm brightline and a 1:1 viewing size. 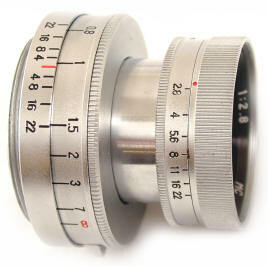 The shutter is the standard Copal shutter -- which is not entirely light tight. Keep the lens cap on when you are not shooting. 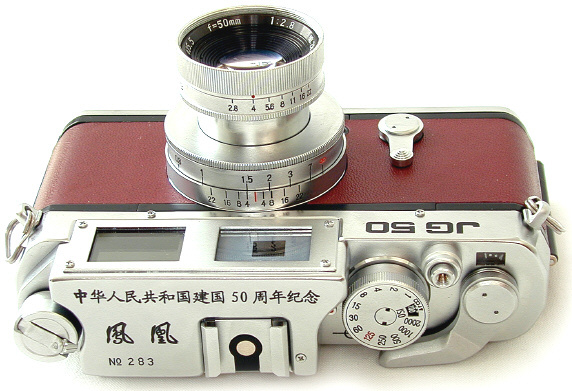 The original Yasuhara T981 was discontinued in 2001 after about 4,000 were produced. 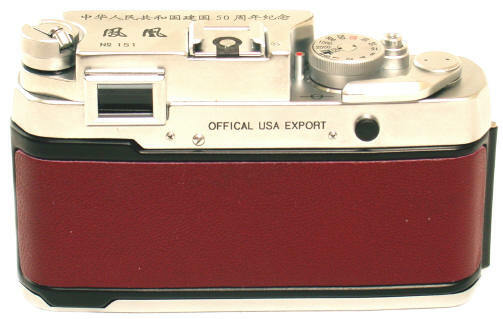 Factory Direct, the back of this JG-50's top plate proclaims "OFFICAL USA EXPORT." Mis-engravings of any sort are rare, and generally increase the value of the camera to collectors. Only TEN were made with this engraving. The collapsible 50/2.8 looks much like the old 50/2 collapsible Summicron, even down to the infinity lock. Leica screw mount. There were no Yasuhara T981 lenses. 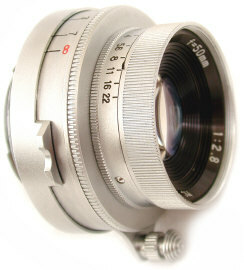 The Phenix 50/2.8 was only made for the JG-50. Tom Abrahamsson of Rapidwinder.com fame, Offical photographer of Vancouver's historic Chinatown, photo by Banarck C.
Revised: October 29, 2006 . Copyright © 2004 Stephen Gandy. All rights reserved. This means you may NOT copy and re-use the text or the pictures in ANY other internet or printed publication of ANY kind. Information in this document is subject to change without notice. Other products and companies referred to herein are trademarks or registered trademarks of their respective companies or mark holders.